The RSS chief said this while addressing the workers at Zila school ground on the last day of his six-day visit of Muzaffarpur. Rashtriya Swayamsewak Sangh (RSS) chief Mohan Bhagwat on Monday said the organization has the ability to prepare an "army" to fight for the country within three days, if such a situation arises. "Sangh will prepare military personnel within three days which the Army would do in 6-7 months. This is our capability. 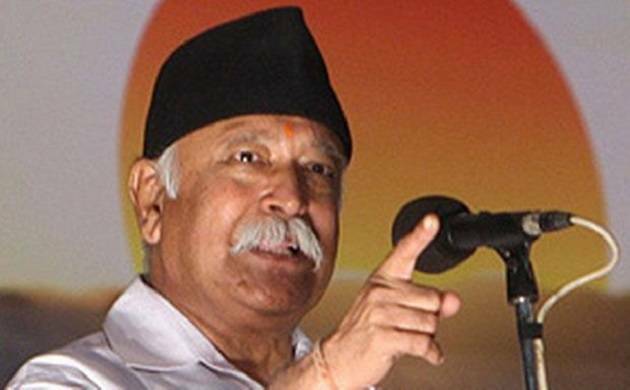 Swayamsewak will be ready to take on the front if the country faces such a situation and Constitution permits to do so)," Bhagwat said. Sangh is neither a military nor a para military organisation, rather it is like a "parivarik sangathan" (family organisation) where discipline is practiced like theArmy, he said adding that workers are always happily ready to make supreme sacrifice for their country. Bhagwat exhorted the RSS workers to set an example of good conduct in their personal, family and social life.